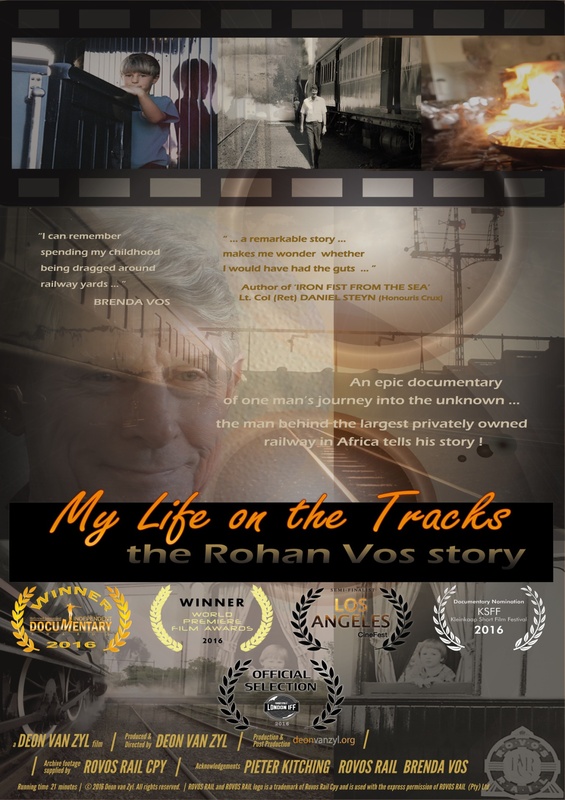 'My Life on the Tracks - the Rohan Vos Story' has attracted audiences across the world, featuring at various international film festivals. 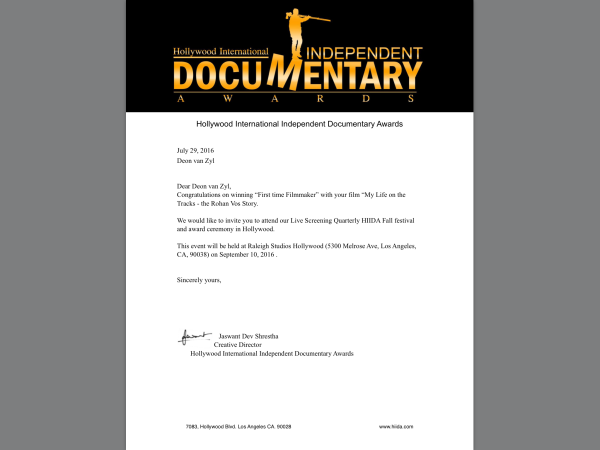 It won at the 'Hollywood International Independent Documentary Film Festival' and at the 'World Premiere Film Awards' in 2016. It is currently a semi-finalist at the Los Angeles Cinefest and has made it through the first round of selection at the 'White Nights Film Festival' in St.Petersburg in Russia. Locally, it was nominated for 'Best Documentary' at the Kleinkaap Film Festival in Centurion earlier this year and has also been selected to screen at the 2017 RAPID LION INTERNATIONAL FILM FESTIVAL. 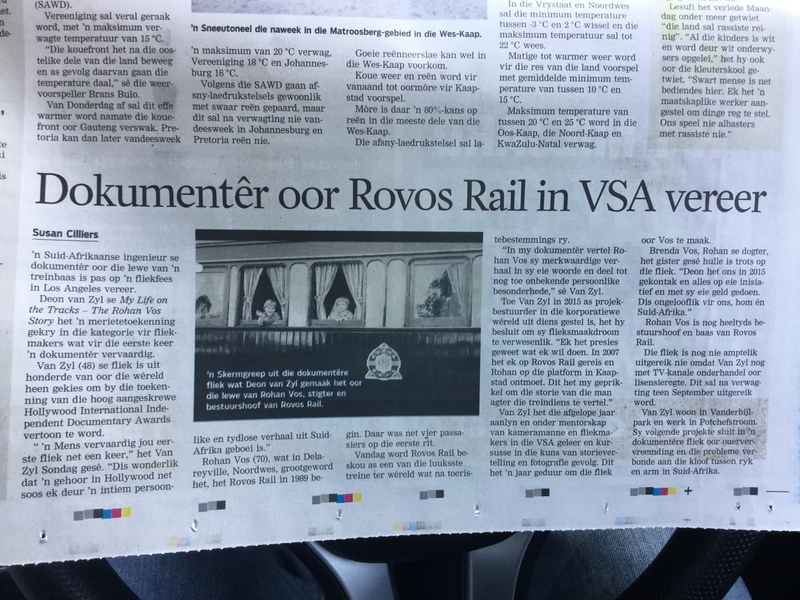 'My Life on the Tracks - the Rohan Vos Story' is about the life of the man behind the most luxurious train in the world. While many documentaries have been made about the train itself covering its travels across Africa, none have captured and documented the remarkable story of the man that started this epic venture ! I feel very priveleged to have been entrusted by the family to tell Rohan's story. Rohan, now in his 70's, is a very private man and prefers to avoid the limelight and would rather shy away from the attention and so having him tell his story in his own words and share some details about his life that he has never shared before makes this documentary truly special and is a timeless piece of African rail history !